Artist’s Watercolours are characterized by its rich, free-flowing colour, which leaves no hard lines at the edges of washes. Their unparalleled performance is a product of precise formulations, based on the suspension of the very finest quality pigments in an aqueous solution of gum Arabic. 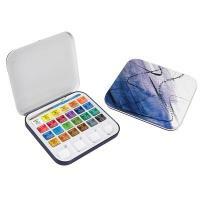 Only the best pigment, regardless of cost, are used in the manufacture of Artists’ Water Colour. 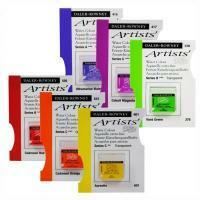 Tinting strength: Artists’ Water Colours are formulated to maximise the varying tint strengths of different pigments. 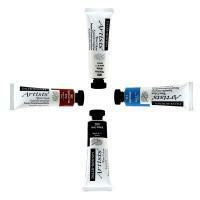 Black & White: Watercolorists can choose to mix their own dark tones and blacks, or use ready-mixed blacks. Ivory Black is the most widely used. On its own, it’s a velvety black with warm brown undertones. Lamp Black is a cooler colour, with blue undertones, which is more opaque than Ivory Black. Both may be mixed with other colours to create darker shades. Chinese White is a traditional white used for highlighting and mixing pale pastel tints. 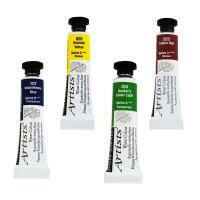 Titanium White is a newer more opaque pigment with greater tinting strength. 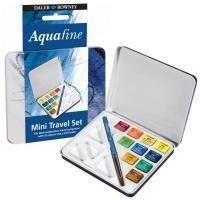 All transparent colours become opaque when mixed with Chinese White or Titanium White. NOW UP TO 23% OFF RRP!